ABCD Learning and Tracing is free and simple educational app to help your kid learn phonics with fun. Say Learning ABCD is Very easy and Funny. Here we are providing a rich set of Educational Activities to make Learning more interesting and easy with Tracing and Phonics of ABCD for your kids. ABCD Learning and Tracing contain Alphabet Tracing, Letters A-Z, provides extensive focus on alphabet and number formation for the beginning writer. Best Alphabet tracing and Phonic Game for Preschoolers, Toddlers and kindergarten. Educational games for children also develop attention span, fine motor skills, creativity and imagination. 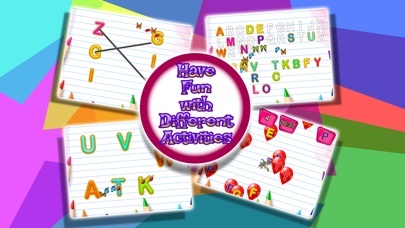 Handwriting worksheets ABCD learning games. Be the first app to practice writing letters. Baby ABC for kids Learn alphabet for toddlers. This games increases skills & interest in learning new things in funny way. ABCD Learning and Tracing, Learn ABC Alphabet, Road Tracing Book which helps Kids to read, write & remember Alphabet easily. ABC Learning and Writing is free alphabet app for kids. Also its best game for adults and parents to decrease stress by tracing alphabets. So this app is designed for both children under the age of 8 as well as teens or adults. 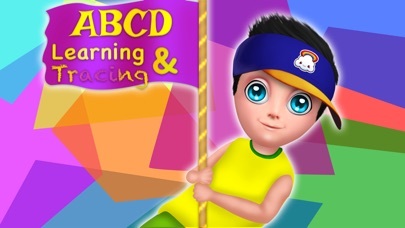 ABCD Learning and Tracing is our best abc kids game Tracing & Phonics,Train ABC Tracing, educational games for kids, ABC for Toddlers this is provides learning alphabet, Writing the alphabet, Puzzles, ABC Animal Game for toddlers, so that preschool and kindergarten age kids learn abc and letter sounds, animated letter tracing, writting abcd. This is a Preschool Educational Games : Interactive Alphabet Tracing - School Adventure A to Z - Basic Skills Games for Kids - Fun Educational Kids Games - Educational Toy for Baby ,Kindergarten & Toddler. Also in this kids can find counting, cards, memory, phonics, activity, objects, classroom, teaching, girls, cute, matching, core, computer, classic, common, top, learners, grade, letter, playground, early, train, etc, here. Features: - Find the object for touching letter ABC - recognize, memorize and name all 26 alphabets - kids alphabet learning - phonics activities game - talking alphabets games - abc games for toddlers and babies - free educational games for preschoolers help to develop memory - collect the correct item in a cloud bucket - matching for Alphabets object - object educational game - tracing book - abcd game - abcd games for kids free - simple way to learn A to Z alphabets - games for boys & girls - ABC Phonics game - Learn Alphabets game - Letter Tracing game - Kids Learning Games - Teaching Letter Sounds game - Learning ABC for Kids - Learning A to Z - Kids first game - ABC Learning with coloring fun Hope you enjoyed playing our learning games and if you want more features for this game please leave a comment.